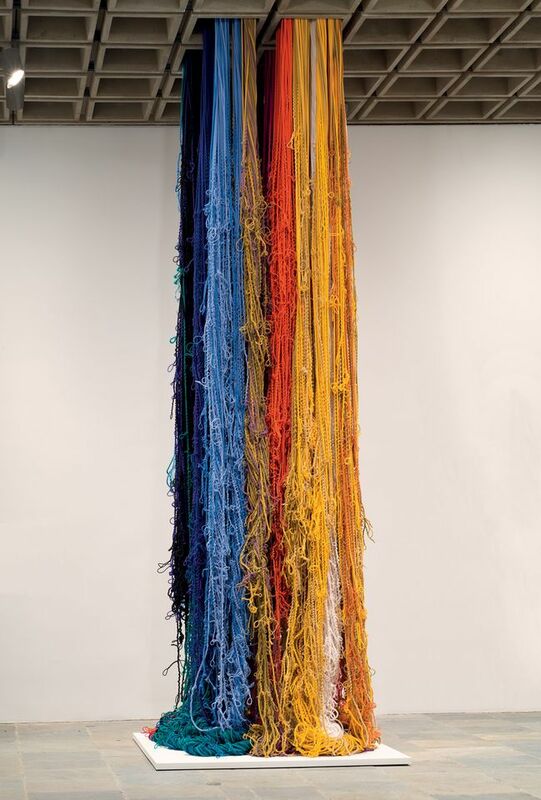 The US-born, Paris-based artist Sheila Hicks is being fêted at the Centre Pompidou this week with a solo show titled Life Lines. The exhibition includes more than 100 works, from huge sculptures to small woven compositions, highlighting the 84-year-old artist’s versatile ways of employing cotton, wool, linen and silk threads. The Art Newspaper: What can you tell us about your upcoming exhibition, Lignes de Vie (Life Lines)? 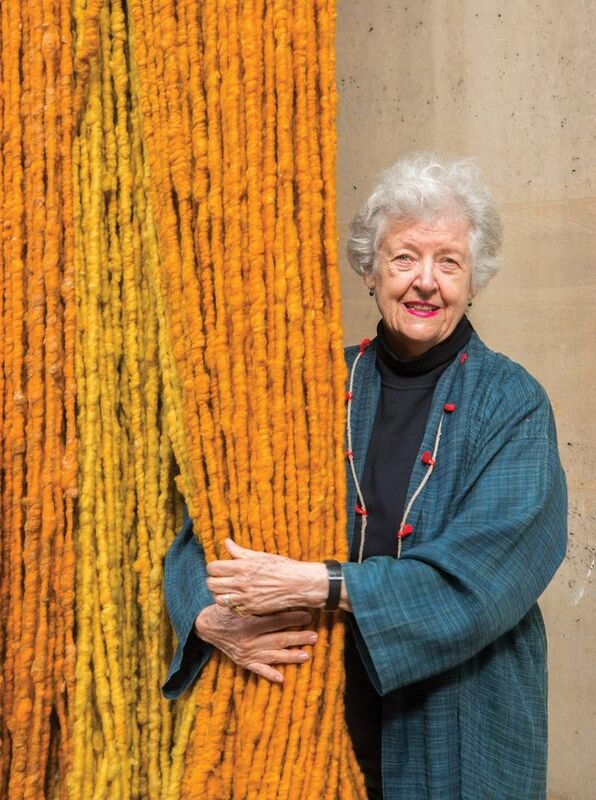 Sheila Hicks: It’s like an extravaganza—it’s not just neat, little paintings and sculptures behaving themselves and in the right place. You'll be able to see the show day and night, as it will be lit up indoors so people can see it from outdoors. When you began using fibres to make abstract paintings and sculptures, did you feel that you were exploring the materials in a novel way? Working with supple materials is the oldest profession in the world, as you can see in India and [elsewhere in] Asia. In châteaux in France, you can see tapestries hanging on the walls. At the theatre in London, you can see curtains and theatre backdrops. If you look through the archives of opera in Italy, you can see textiles and costumes. I’d be pretentious to say that you were touching something new when touching a thread. What influence has living in Paris since the mid-1960s had on you as an American? Terrible, because the standards are too high! Before moving here, I was living in Mexico and when I arrived I hung out with Latin American artists, like Wifredo Lam, Roberto Matta, Enrique Zañartu and Jesús-Rafael Soto, because my Spanish was stronger than my French. Paris attracts you to the point where you have children and grandchildren born and educated in France – that's when a trip turns into a lifetime. What is your opinion on how your work has gained increasing institutional recognition in recent years, including the São Paulo Biennial (2012), Sydney Biennale (2016), Glasgow International (2016) and Venice Biennale (2017)? I've been showing for 40 years, but now there's another cycle of curators in their 40s and 50s who are waking up and becoming interested in my work. If you live long enough, you'll get to know three cycles of curators and each cycle thinks that it’s the one to be discovering it. I'm reading obituaries now on some of the curators that I've worked with. I'm still lucky to be around and have this show at the Centre Pompidou because most of its shows are on dead artists. What is the most recent work you have made? My new piece for Japan – a 7m-high column in violet and aubergine that we worked on for two years – was installed yesterday in the Setagaya district in Tokyo. It can be seen through windows, from the outside, going up all the way.